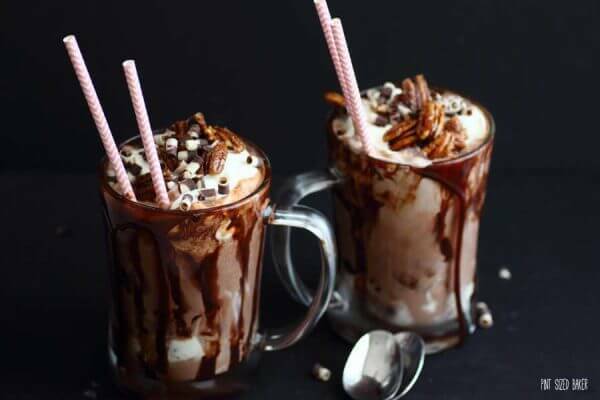 These Amaretto Hot Chocolate Floats are perfect for any night. 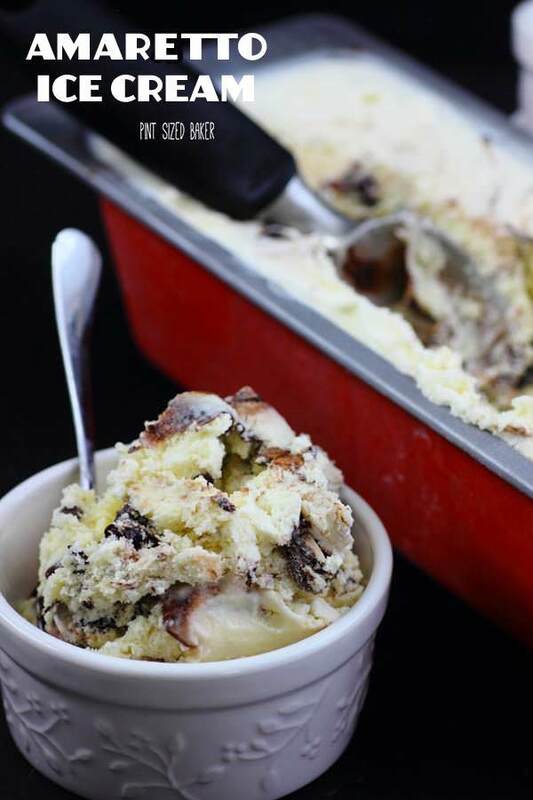 Made with real Amaretto ice cream and real Hot Chocolate, it’s a decadent dessert. Oh lordy! I totally blew my diet and my entire weeks worth of yoga with these Amaretto Hot Chocolate Floats! They were just amazing and I couldn’t just toss it. All that yummy amaretto ice cream covered in real hot chocolate, fresh whipped cream and amaretto pecans. It was so decadent and wonderful! I loved every bite, sip and lick! I mean, just look at all of that amazing chocolate! Who can possible pass on that?? I sure couldn’t. My husband however, asked for a different flavor of ice cream, but that was totally doable. 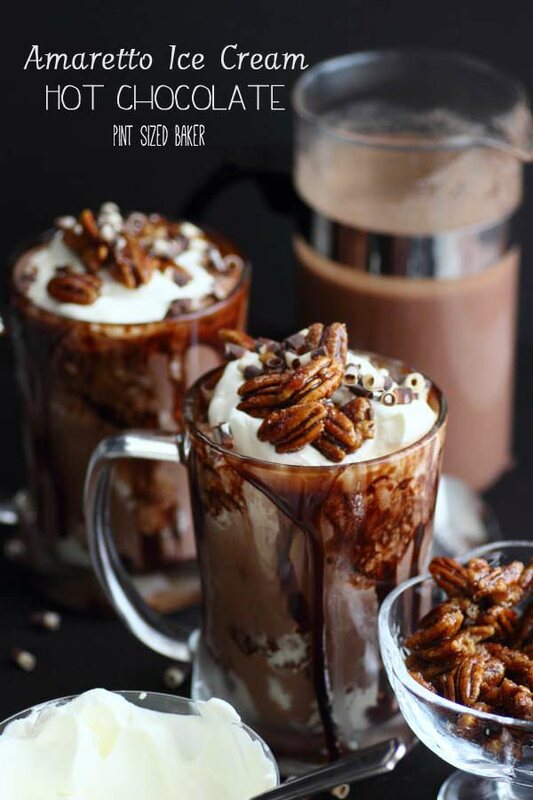 Swap out your favorite ice cream and enjoy this wonderful hot chocolate float! This was a first for me. I’ve seen hot chocolate floats online before, but honestly thought it was kinda silly. Who pours HOT chocolate over FROZEN ice cream? Doesn’t that just defeat the purpose of either treat? The simple answer is no. The ice cream didn’t immediately melt and the hot chocolate stayed warm. It’s crazy, but it’s true. 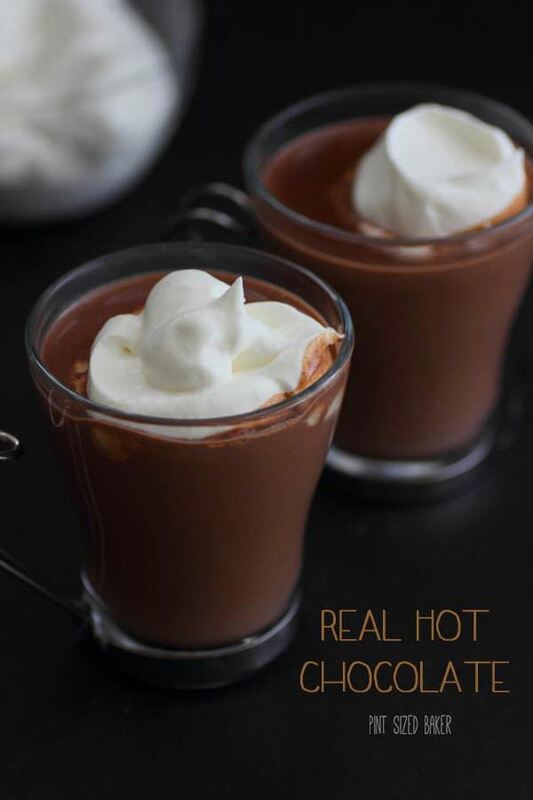 For this hot chocolate recipe, I wanted to use REAL chocolate and REAL milk. No sweetened condensed milk, no cocoa powder, no added stuff – just milk and chocolate. And that’s just what I did. Heavy cream and whole milk make a wonderful rich texture and the straight dark chocolate gave it a strong chocolate flavor. The flavor was intense to drink straight, but that was kinda the point. Pouring it over the sweet ice cream and adding sweetened whip cream cuts the slightly bitter flavor and tastes like real sipping chocolate. The kids may not like it, and that’s a good thing! This hot chocolate and amaretto ice cream really isn’t for the kids. It’s for the chocolate loving kid inside of us! It’s for the excited kid who see’s the over-sized hot fudge sundae and wants to eat it all. It’s for the inner fat kid that just wants to indulge and not worry about the next work out. There will be another work out and it will be tough! 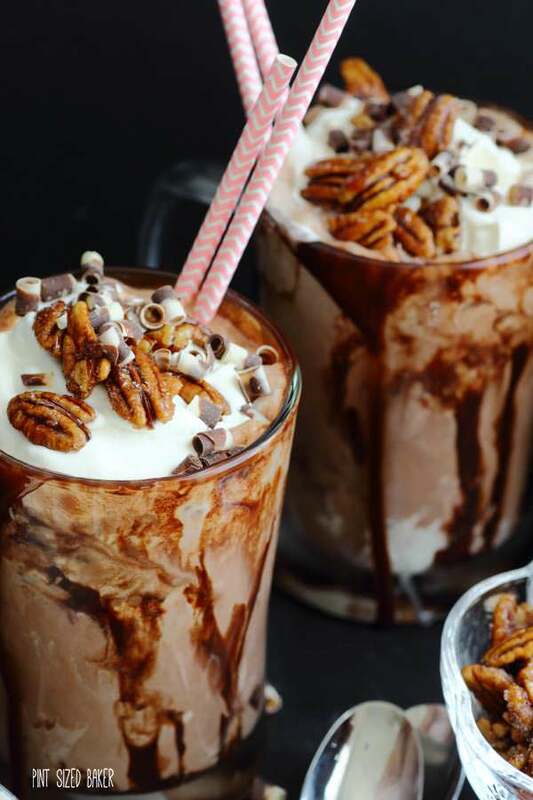 Amaretto Ice Cream Hot Chocolate Floats with fresh whipped cream and amaretto pecans - for the fat kid inside us wanting to get out! Prepare your mugs by adding chocolate syrup around the edge of the mug. Place the mug into the freezer to set. Place the heavy cream, whole milk and dash of salt into a medium sized pot over medium heat. Bring to a simmer, not boil, and add in the chopped chocolate. Turn the heat to low and stir the mixture until all the chocolate is melted and smooth. Remove from heat. Make your whipped cream and sweeten to taste. I used 1 cup of heavy cream and 2 tablespoons of sugar. Whip to soft peaks. 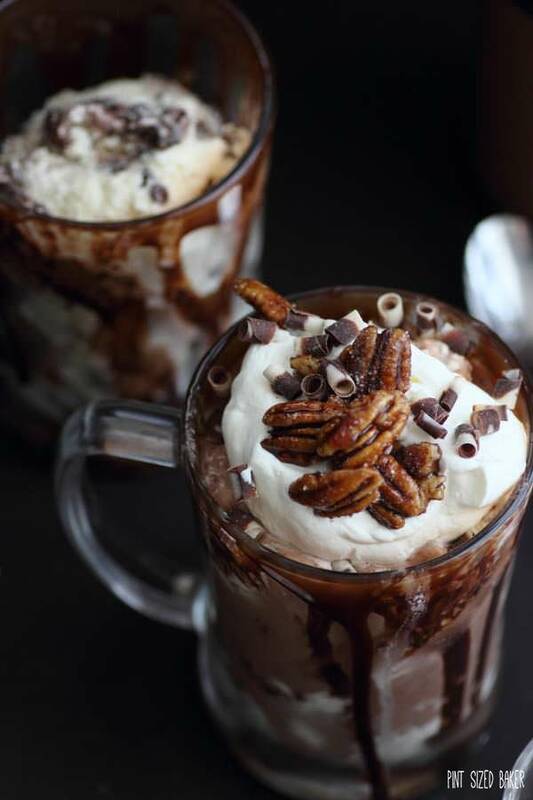 Fill the mug with the ice cream and pour the hot chocolate over. Top with the whipped cream and Amaretto pecans. Add any chocolate sprinkles or shavings if desired. Sit back, relax, and enjoy your dessert. You deserve it! 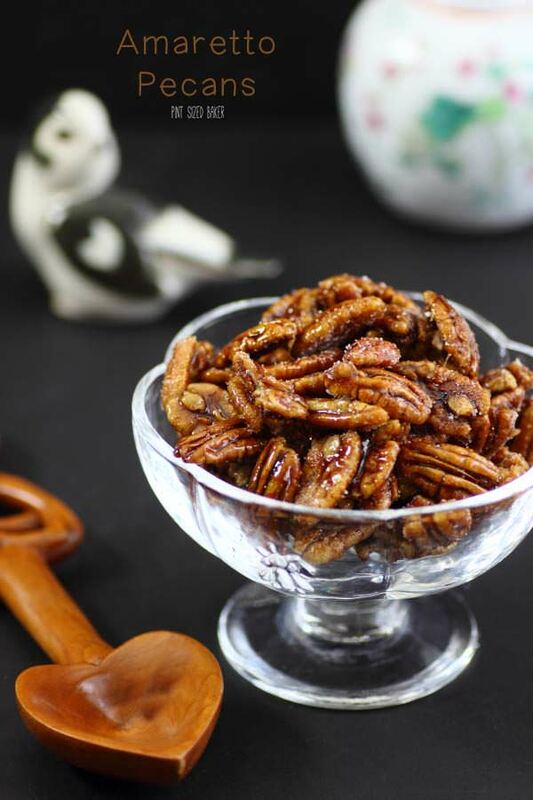 This recipe is part three of a three part series including Amaretto Pecans and Amaretto Ice Cream. Holy crapolla do I need this in my life. This sounds UNREAL delicious. It looks so decadent and amazing! WOWZA! I will be making this tomorrow! Looks amazing! Pinning! Did you make it? How was it? I need another one ASAP. This looks absolutely incredible! It sounds so rich and decadent, the perfect hot chocolate! Thanks! I sure did enjoy this dessert. wowzers, now THAT’S what I call a chocolate recipe, looks so scrumptiously sinful…. You can invite me over for dessert anytime! It was pretty amazing! Wish I had some more tonight. Thanks for stopping by! Ermagherd these look amazing Karyn!!! I’m sitting here eating my apple, wishing… hoping… that it will magically turn into one of these! Sadly, it’s still an apple hahaha! These are stunning! Need them ASAP!